I would like more information about 13364 Beach. Conveniently located on the corner of Hodges & Beach Blvd. 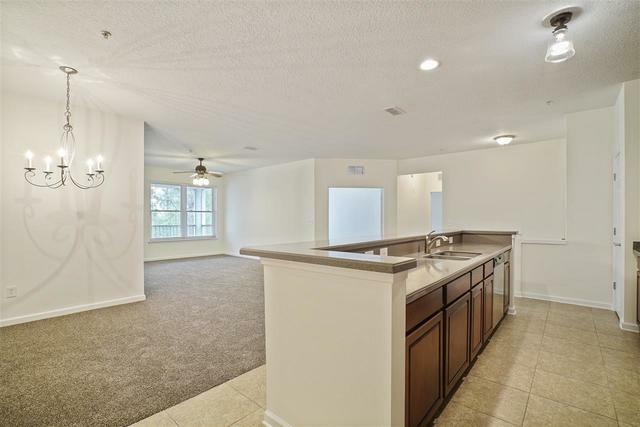 This condo is over 1700 sq ft, freshly painted & brand new carpet throughout the 3 bed, 2 bath & office/den. Definite tiling in foyer, kitchen, & bathrooms. Corian kitchen countertops w/ 42' cabinetry. Located on the fourth floor of Bldg One w/ wooded views & screened in lanai. Building & community features include an elevator, concrete block construction, gated entrance, security guard, club pool, house, exercise room, & vehicle wash. Directions: JTB to Hodges Blvd. N, left on Beach Blvd. Turn left onto Falcon Ridge. Gate code 970 to be beeped in. First building on your left, fourth floor, left, corner unit.